This incredible property with become available late 2018 and it’s worth waiting for. For now, it is an exclusive listing. 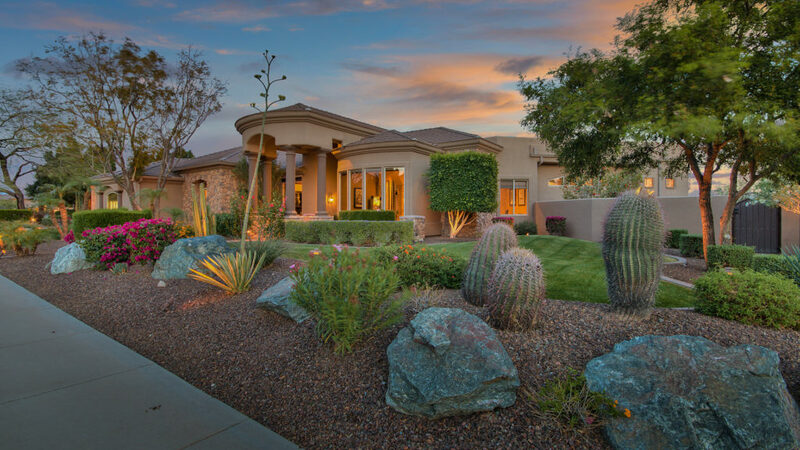 This home offers nearly 4900 square feet of living space, including a large casita, and is fully loaded with high end and tasteful finishes and features. Each room is wonderfully detailed and nearly each room has spectacular hilltop views. A few features are polished travertine and wood floors, coffered and trayed ceilings, cantera columns and fireplace mantels and jambs. The kitchen is marvelous with newer designer appliances, double ovens and dishwashers, large island. Rear yard features a refinished pebble tec pool and spa, outdoor kitchen, putting green, and endless views. Truly a must see. Please call or email for additional information.